Seeking to ensure that our valued customers have the convenient parking access they deserve, Westfield UTC is introducing a new secured parking plan on January 30, 2019. The plan keeps the first two hours of parking at UTC free of charge, with company research showing that this will accommodate nearly 85% of existing customer visits. After the initial two hours of free parking, guests will be charged $2 for visits lasting 2-3 hours, $4 for visits lasting 3-4 hours, and $6 for visits lasting 4-5 hours. The $15 daily maximum will be reached for visits lasting longer than 9 hours. The new secured parking plan has been designed to help alleviate the inconveniences experienced by UTC guests as a result of the hundreds of vehicles left on-site each day by individuals making visits elsewhere in the local neighborhood. Patrons who wish to provide feedback may email utc@urw.com. 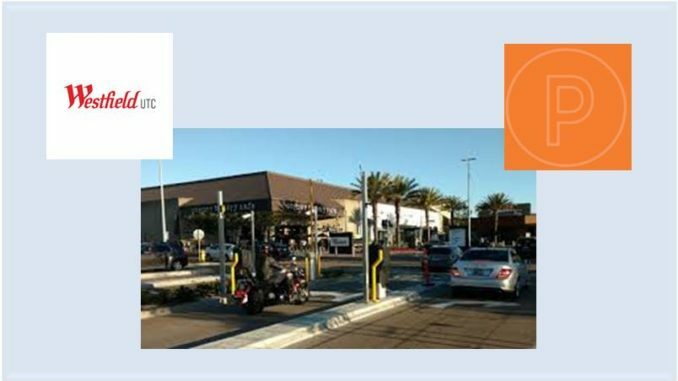 Patrons of UTC’s Arclight Cinemas, 24-Hour Fitness, and the UTC Ice Sports Center will be able to receive validations for additional hours of free parking, with the first $2-per-hour charge only coming into effect upon expiration of the extended validation. At the same time, UTC has also been rolling out a full suite of convenient new parking options to improve the customer experience for all visitors.